Two very different Australian films, Maya the Bee Movie and William Kelly’s War, had unconventional launches in cinemas last weekend. Studiocanal opened Maya, the 3D animated feature adapted from the ABC TV series, on 154 screens. The Australian-German co-production produced by Barbara Stephen, written by Fin Edquist and directed by Alexs Stadermann, grossed $79,000 on Saturday and Sunday. The theatrical release of the family film voiced by Coco Jack Gillies as Maya with Jacki Weaver, Richard Roxburgh, Noah Taylor, Kodi Smit-McPhee, Justine Clarke and Miriam Margolyes, is a prelude to the December 1 DVD/VoD launch via Beyond Entertainment. As an alternate content title the traditional 120-day holdback does not apply. Studio 100 Media has sold the Buzz Studios' film to more than 100 markets including Germany, France, Korea, Spain, Italy and Russia. "'We are pleased with Maya the Bee Movie’s opening weekend results in Australia as the highest performing family film over the weekend," said Stephen, the MD of Flying Bark Productions. "The strategy for the film was a specialty release with a reduced ticket price to make the film more affordable for families and generate awareness of the character and the film with the Australian audience. We feel that this was the best approach to ensure a strong home entertainment release and drive ancillary sales of the film." Director Geoff Davis’ William Kelly’s War is the saga of young brothers Billy and Jack Kelly and their cousin Paddy, who leave their outback home to go to WW1 and come back to find their family has been attacked by cattle rustlers. The production is a family affair as Davis cast his sons Josh and Matthew as the brothers, with Tony Bonner as their father and Lachlan Hulme as Paddy, and it was shot mostly on a family farm in country Victoria. Davis and his sons collaborated on the screenplay. 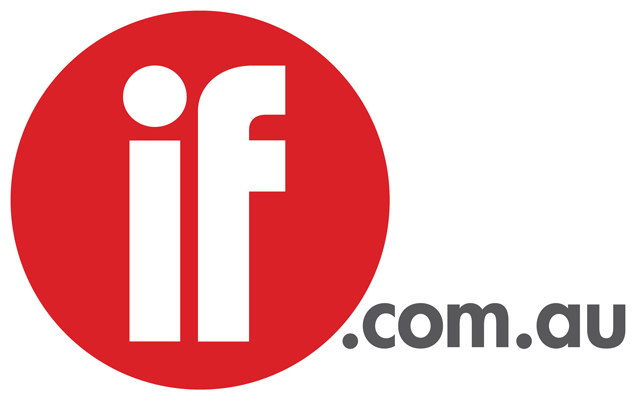 IFM Filmways released the film in about 20 screens, mostly in regional areas. Davis is waiting to see the B.O. grosses but said he and the producer Phil Avalon are happy with the responses from audiences. The film has performed best at Q&A screenings such as three sessions at The Backlot Studios hosted by Davis and at Sanctuary Cove and Byron Bay which Avalon attended. “IFM gave the film every chance but with a limited ad budget it’s hard to get people’s attention,” said Davis, who intends to embark on a regional roadshow after IFM's release finishes. Avalon is among the chorus of voices calling for the abolition of the requirement for a local theatrical distributor in order to qualify for the producer offset, telling IF, "People should be able to see our films on VoD or PPV in their own homes, at a time that works for them, while still keeping our stories and culture up there for moviegoers." Reviewers were impressed with the production values considering the low budget. “This brashly melodramatic Aussie movie packs plenty of frontline trench horrors, bayonetting and exploding faces, and then adds an after-show of bush heroics versus evil bushrangers,” said Screen Daily’s Frank Hatherley. Urban Cinefile’s Andrew L. Urban opined, “It's an unusual film in that the war drama morphs into a revenge movie (with distant echoes of Rambo) but the screenplay does this with smart attention to the characters and the circumstances. It's a juxtapose of the young men who went to war, only to come home to family tragedy at the hands of thugs. This element changes the film's mood and takes the story across a longer time frame, of miniature epic proportions.